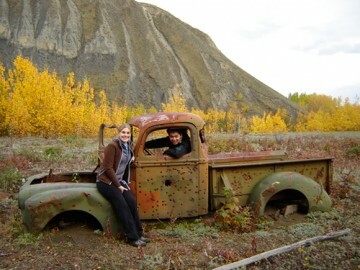 Wanting to start my teaching career with an adventure and a new challenge, I ended up here in the Yukon with my wife, Karmen. We are situated in one of the most beautiful places in Canada albeit a bit cold. As a rural Yukon teacher, I am teaching the gamut of courses: from Secondary Science to Core French 3–5. Needless to say, my training in the middle years program has prepared me for the variety of students I teach. My class size may vary from 4 to 14 students during any given day. Nonetheless, the few students I have are very much in tune with the world around them and, in turn, very respectful of nature and each other. For example, last year they went on a “Bison Hunt” for outdoor education. There is so much opportunity for growth, challenge and change as a teacher. This year, we will endeavour to start a business in town (adding to the existing two main businesses: a restaurant and a hardware store). Take chances, make mistakes, get messy!